Consumers today look for things a lot differently than they did 10, or even five, years ago. And we can thank the internet for that. Not only are consumers more informed on what they’re looking for, but they’re doing most of the looking themselves, relying on search engines to pull information for them so they can make an educated decision. What they’re looking for is literally at their fingertips with a quick Google search. That’s why it’s more important than ever for your company to be creating content and doing everything it can to make sure that content is easy to find. But where do you even begin? The concept behind search engine optimization — or SEO, to use the marketing vernacular — can intimidate a lot of people. They aren’t sure where to begin or what they can do to actually see their content climb the search engine ladder. 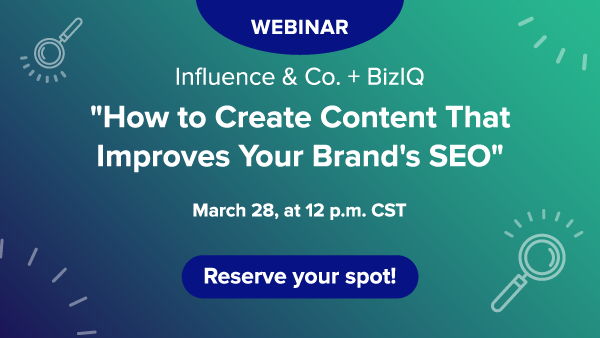 That’s why we’re hosting a webinar on “How To Create Content That Improves Your Brand’s SEO.” Brittni Kinney, VP at Influence & Co., and Lexi St. Laurent, Director of Marketing at BizIQ, will dive into everything related to your content and SEO. Be sure to register and join us for an informative and exciting discussion. 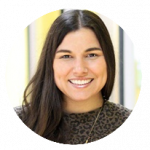 There will also be free resources to help you and your team hit the ground running with an effective SEO strategy. Save your spot!